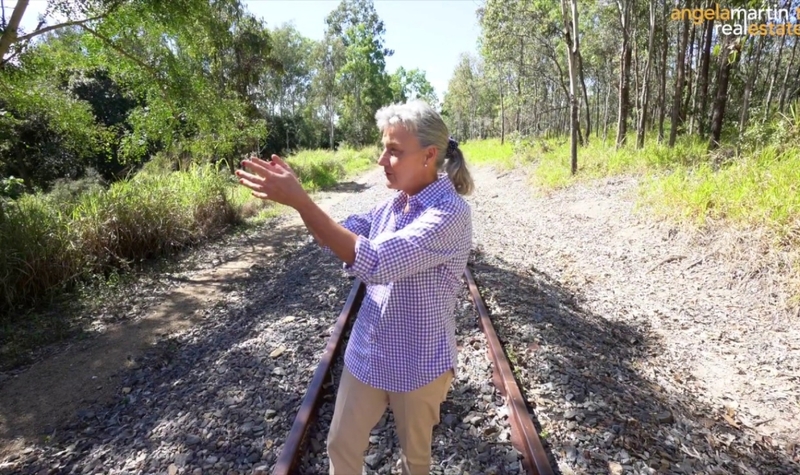 Please watch video – I’ll take you on a personal tour with a difference! 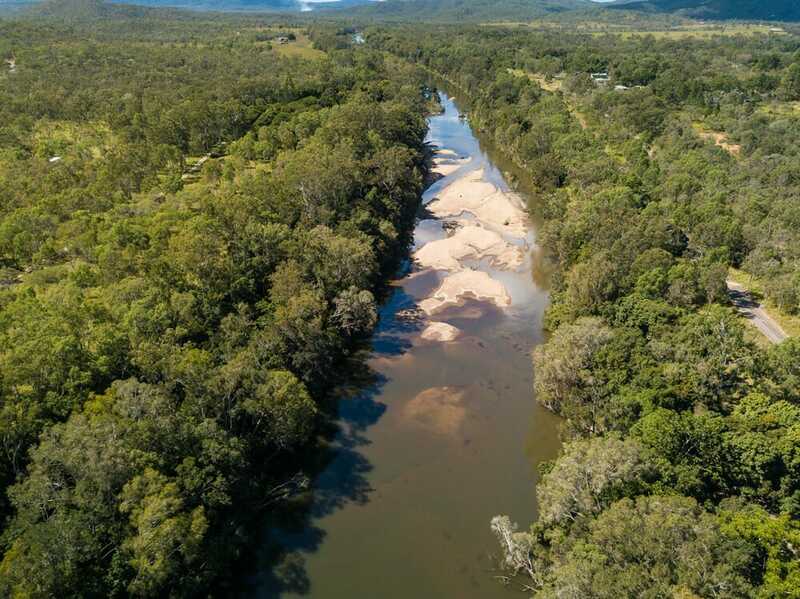 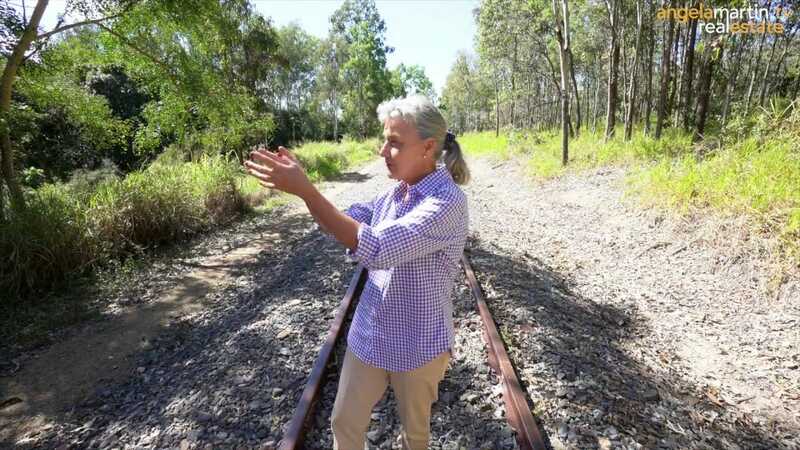 For half the price of a WATERFRONT home at Trinity Park, you can shut off the world, not see or touch your neighbours and still be only 10 mins to Kennedy Highway and 17 min to Kuranda. 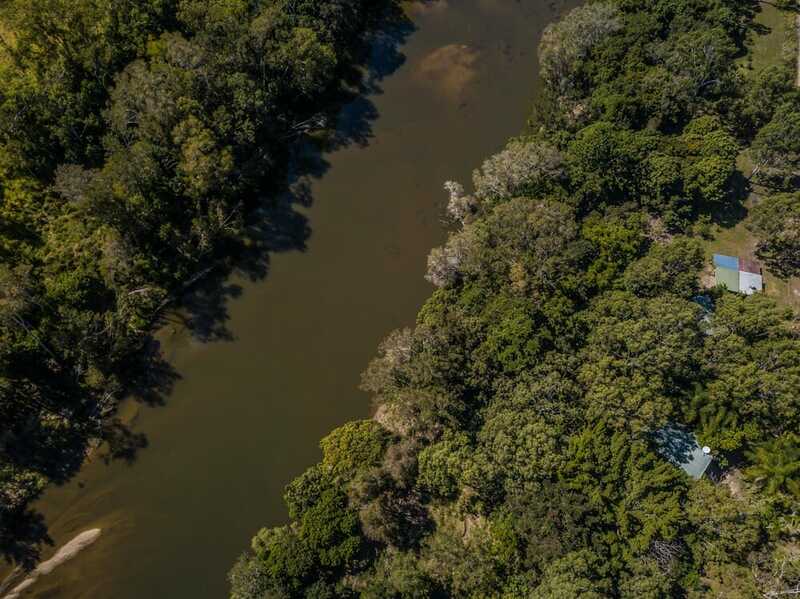 SUPREMELY PRIVATE and set on almost 2 acres, there are 2 pole homes with a stunning backdrop of 300m (approx) of ABSOLUTE RIVER FRONTAGE – boating, swimming, fishing all on your doorstep! 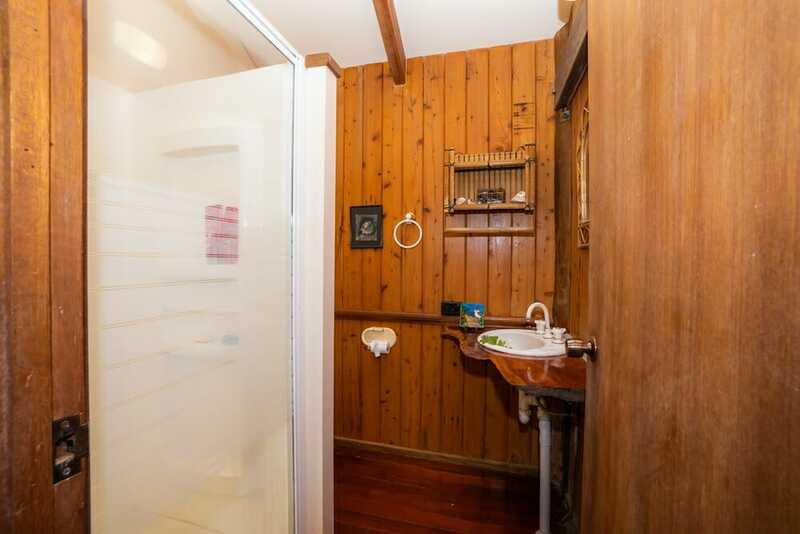 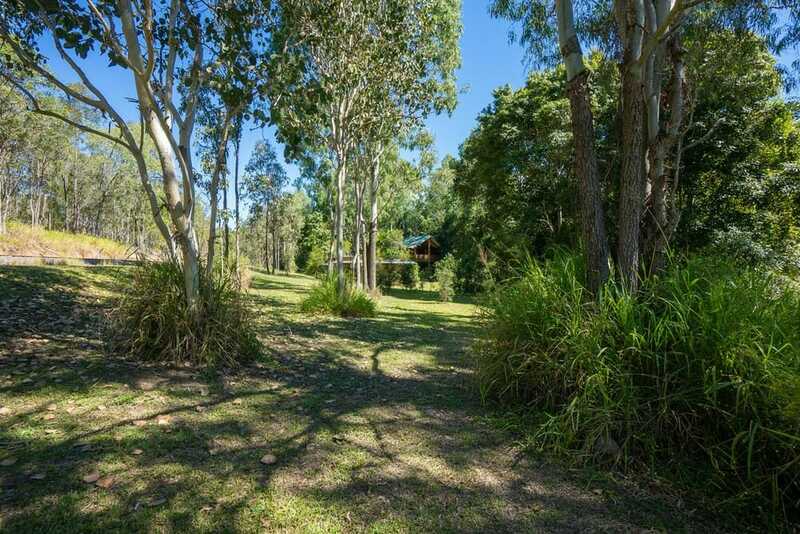 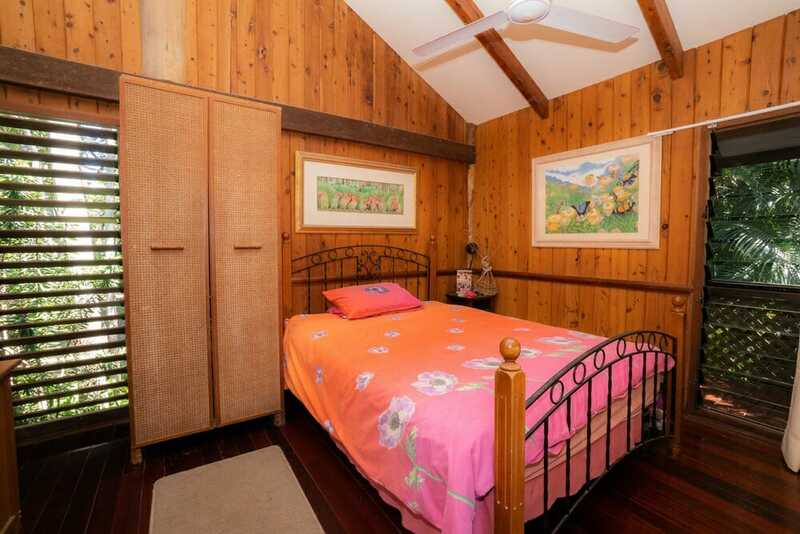 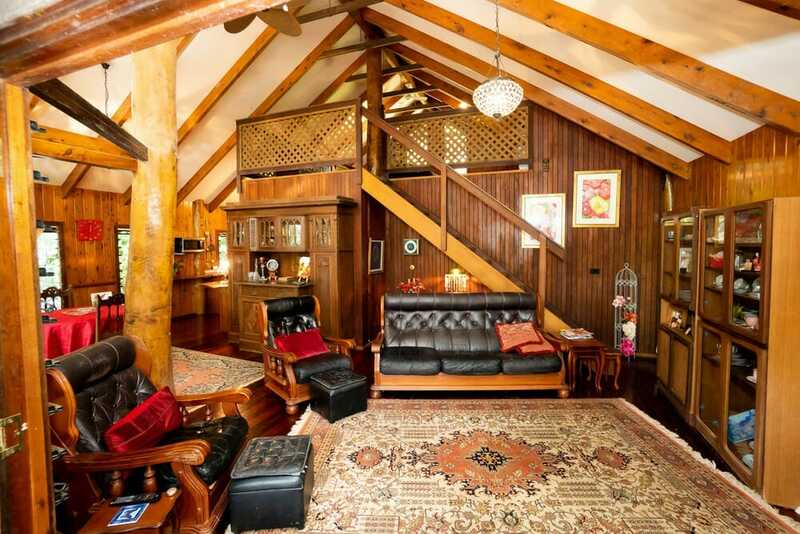 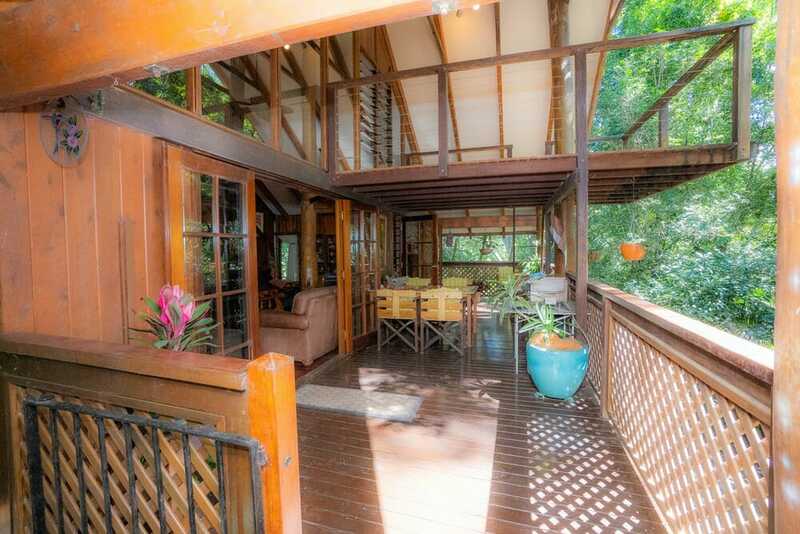 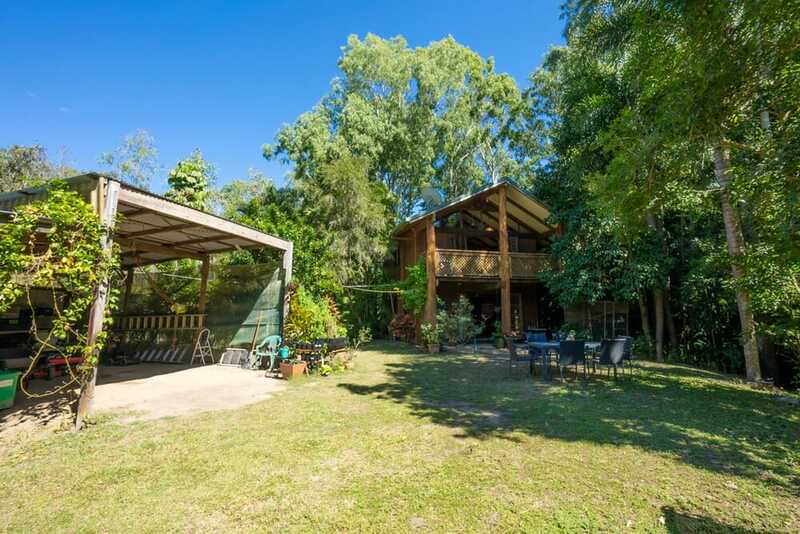 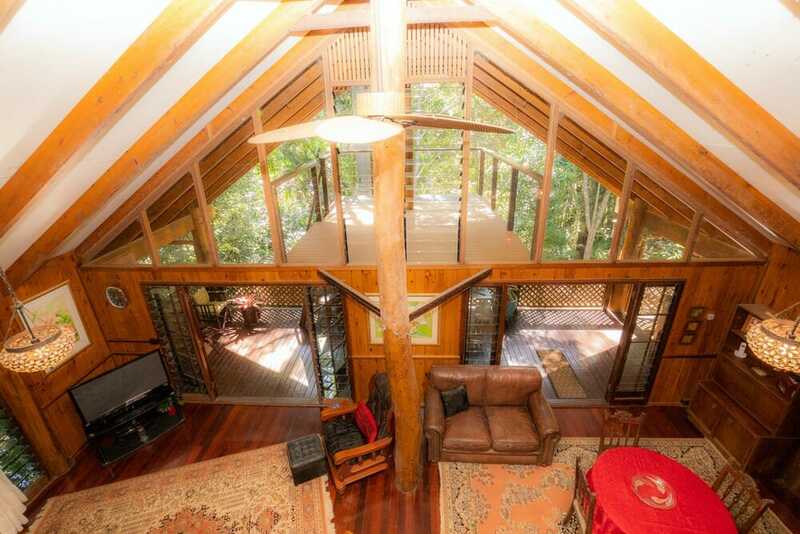 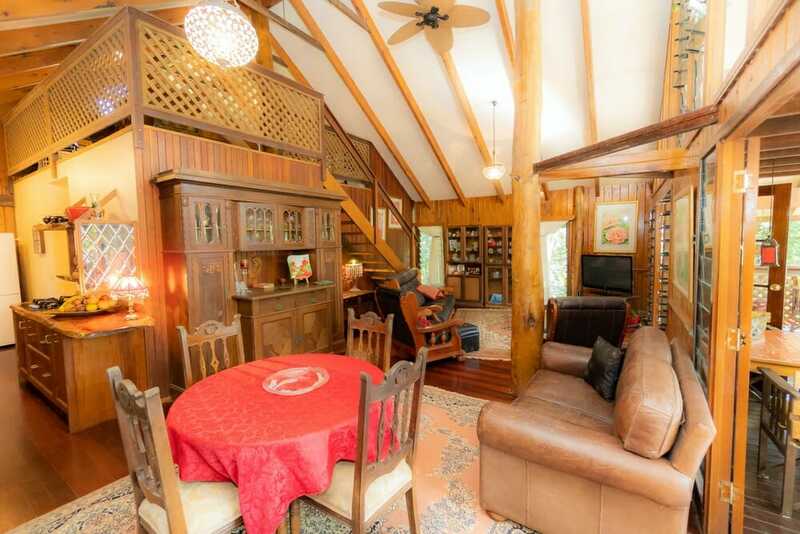 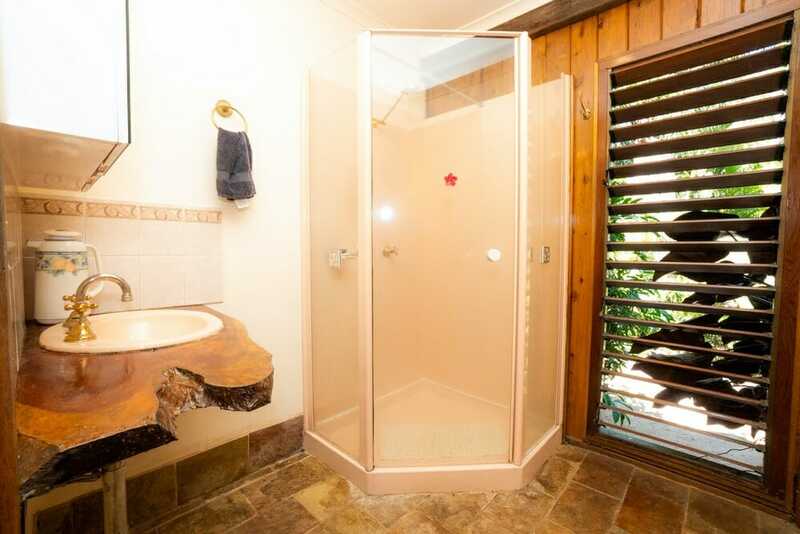 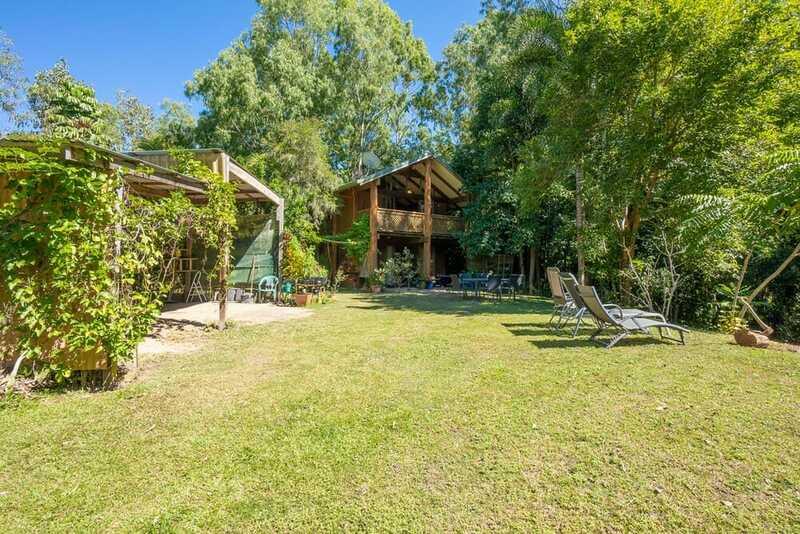 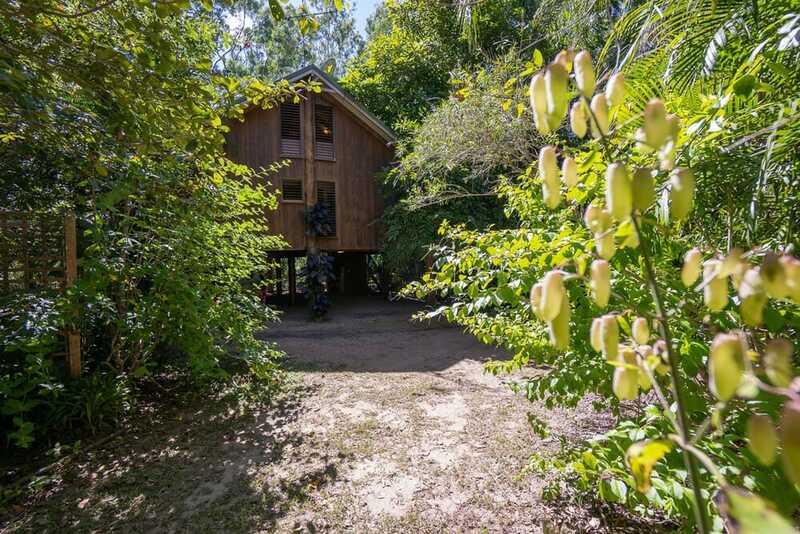 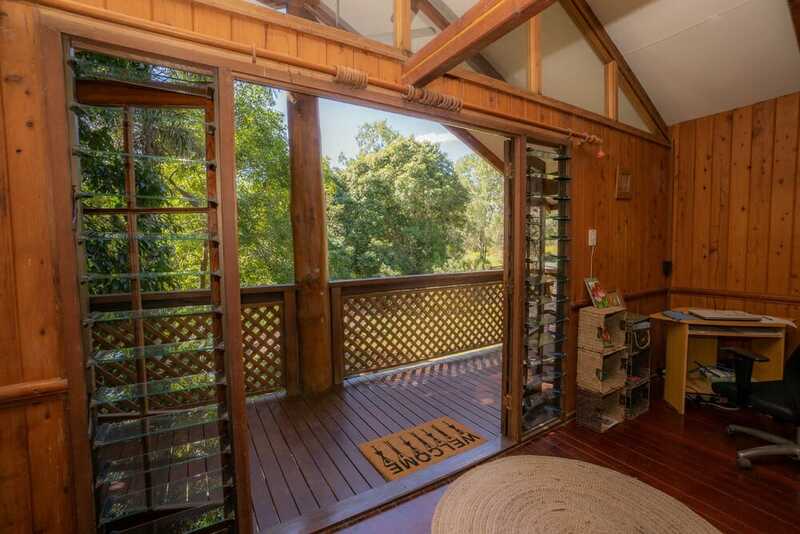 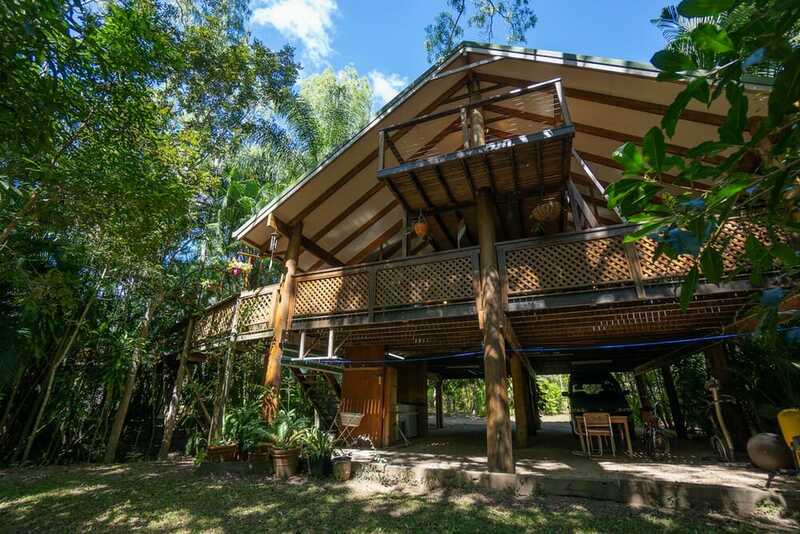 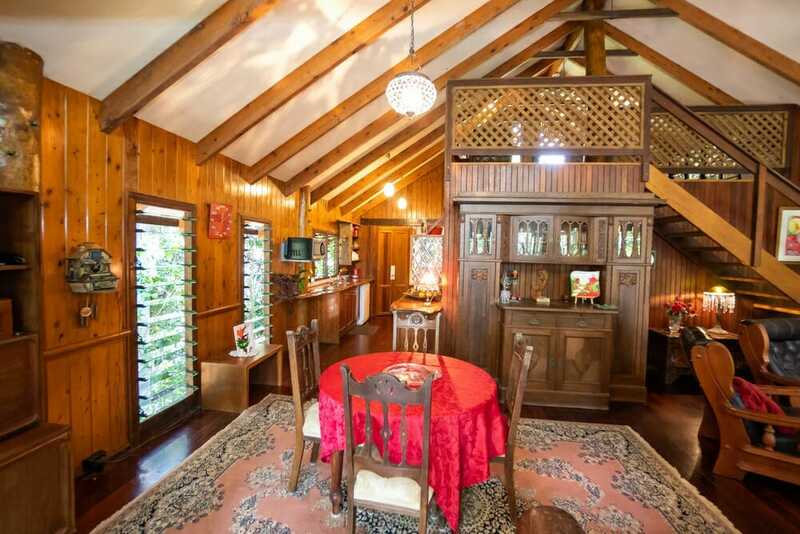 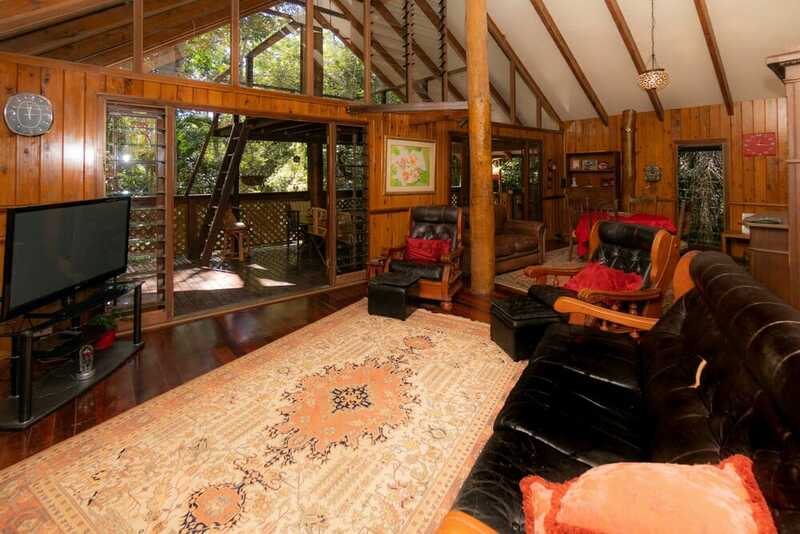 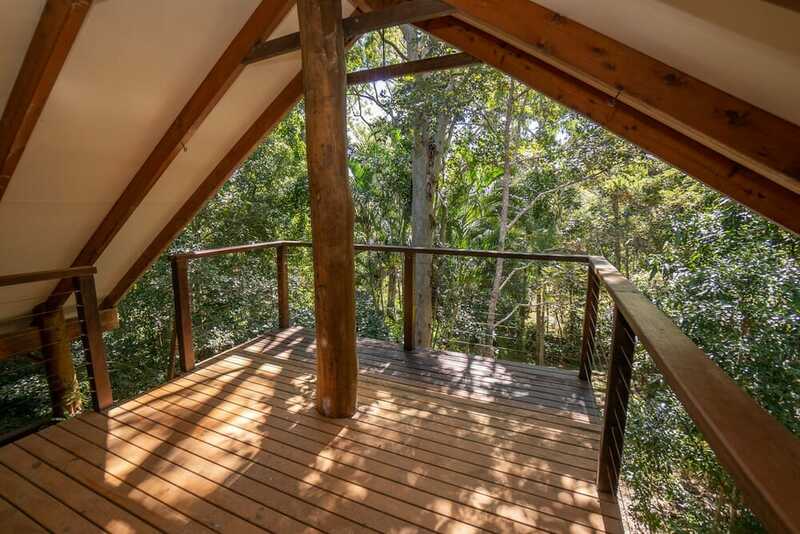 Home #1: is a super cute 2 bedroom ‘treehouse’ which has amazing views to the river from the main & mezzanine decks. 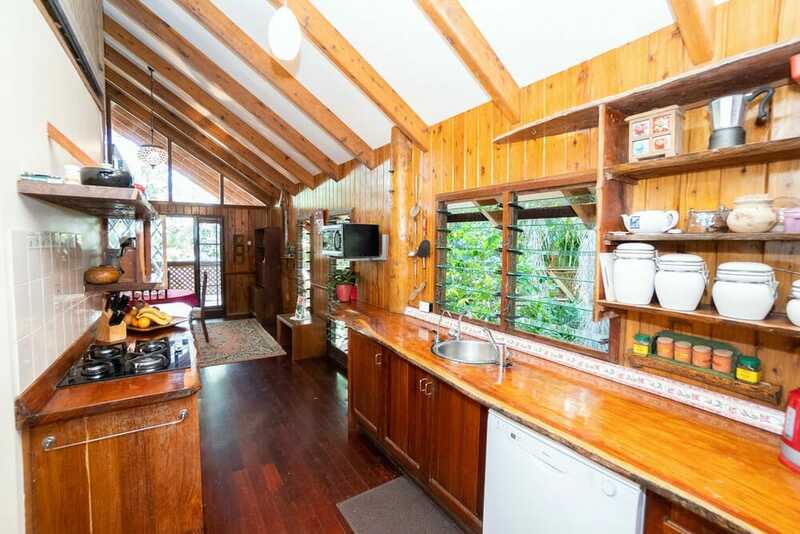 Kitchen and living are open plan and flow out onto the main deck. 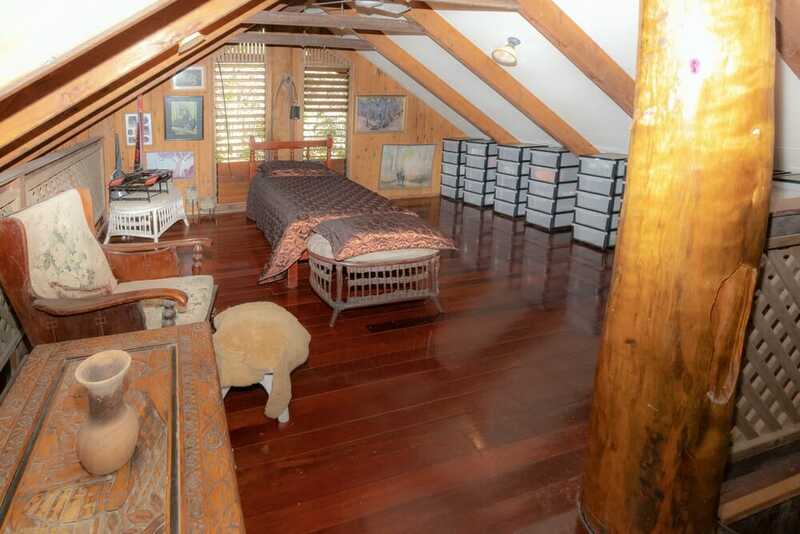 The master bedroom has ensuite robe and mezzanine bedroom is loft style. 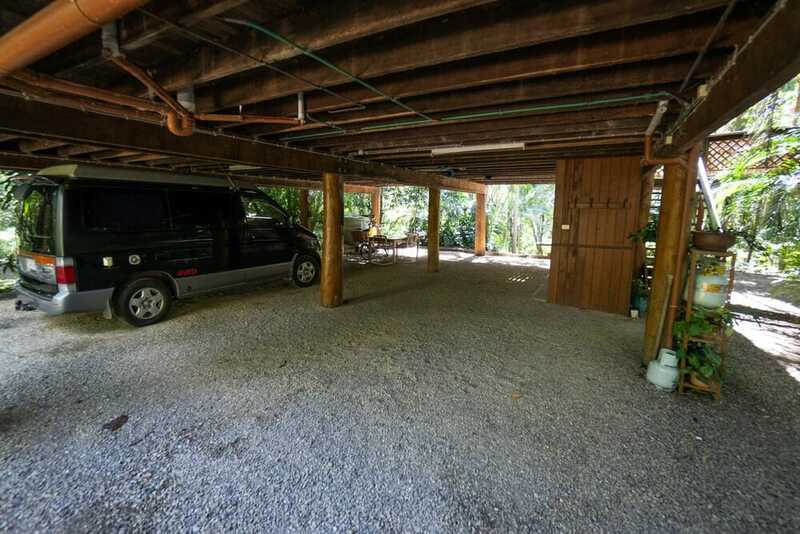 Laundry and cars live under the house, with plenty of undercover parking for 4 cars. 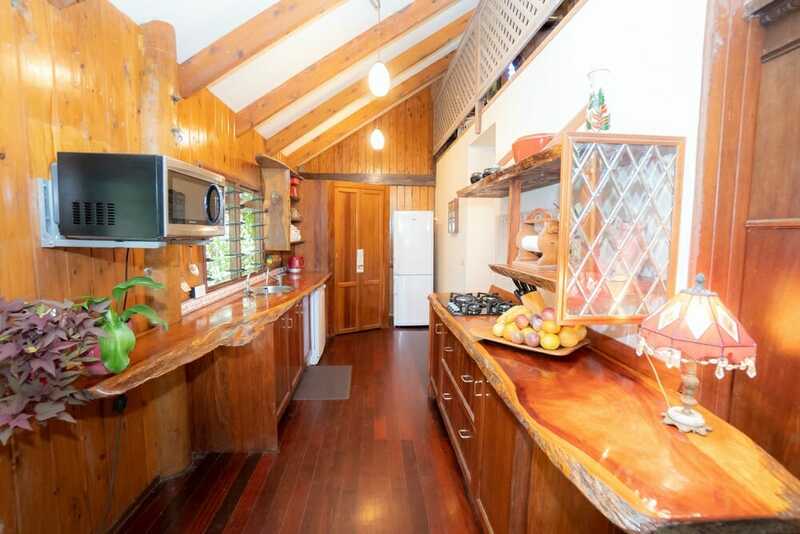 Home #2: Has 2 independent self contained studio appartments each with their own kitchenette, living and bathroom. 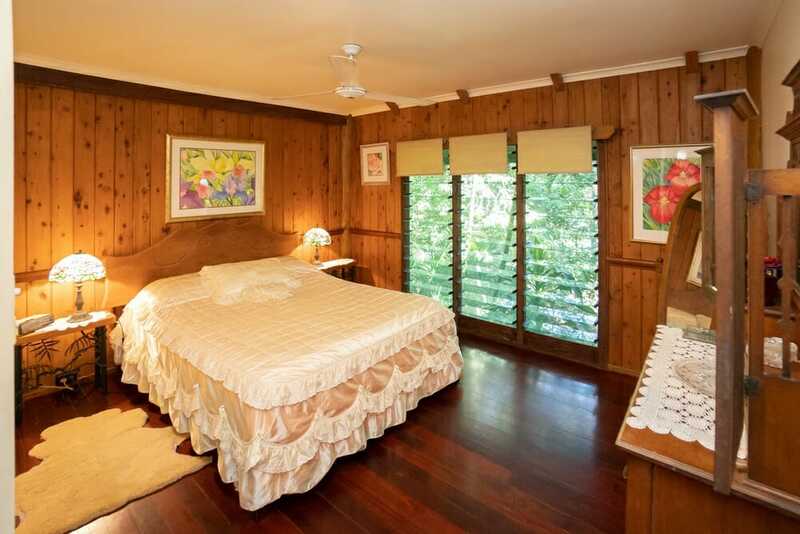 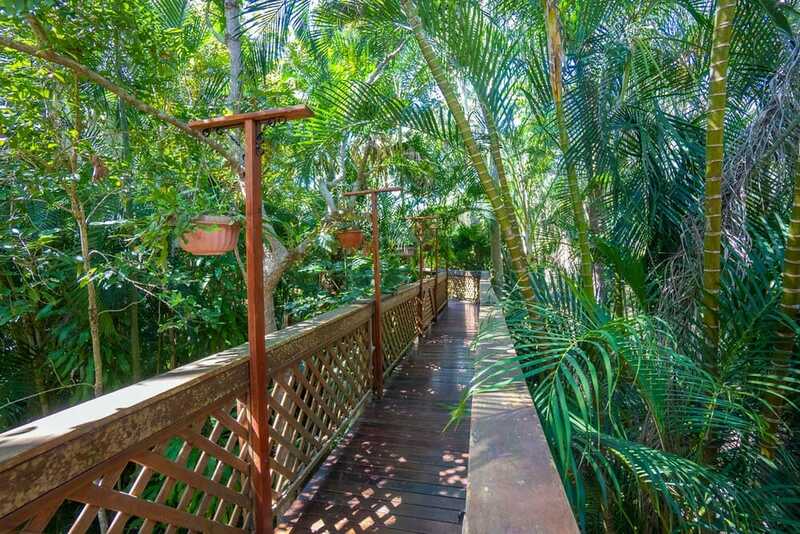 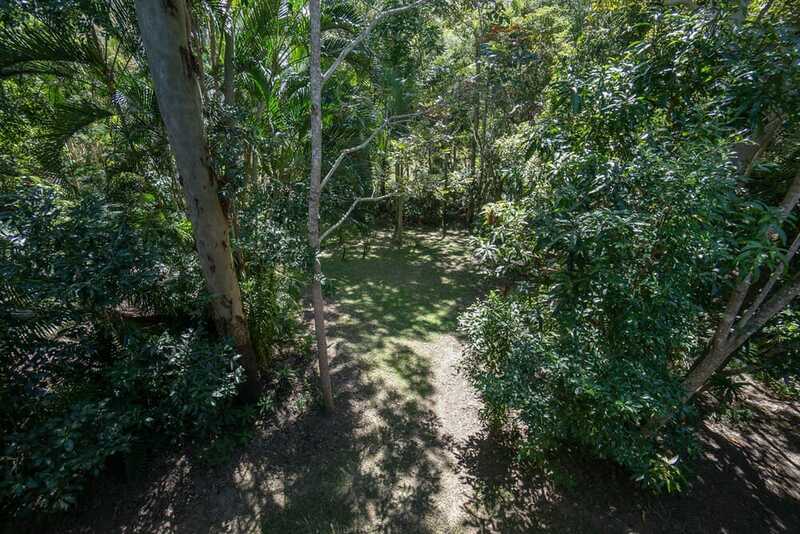 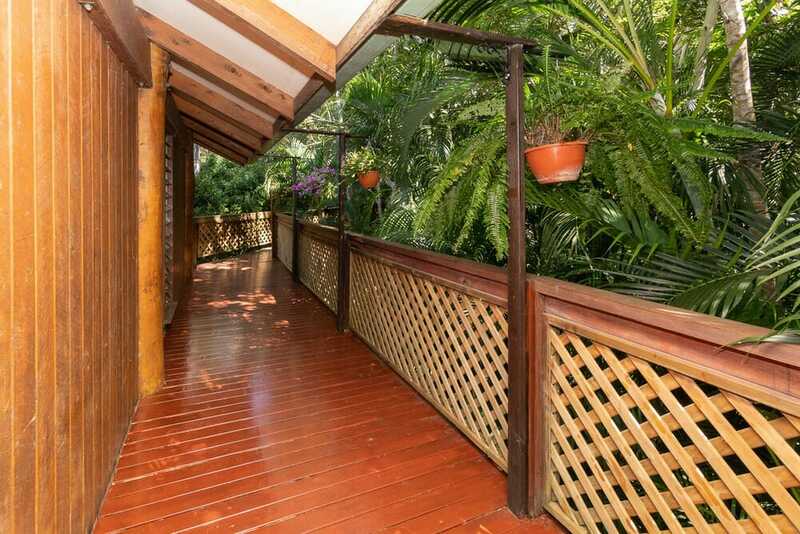 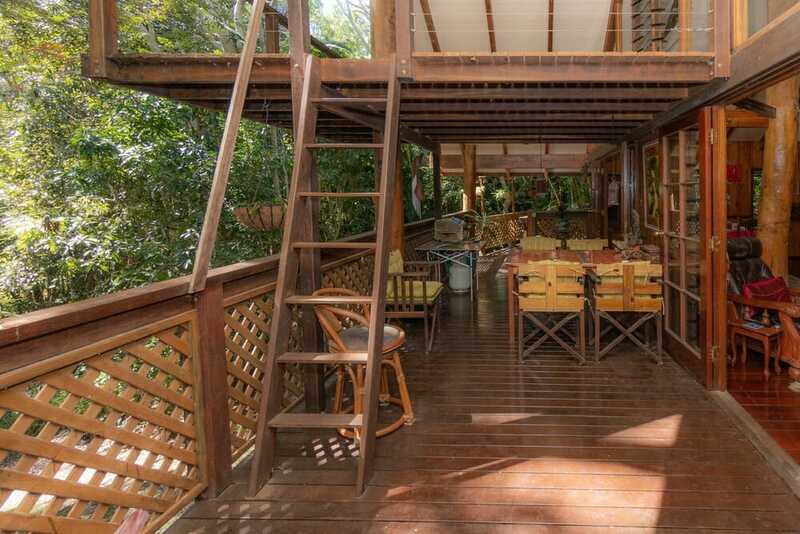 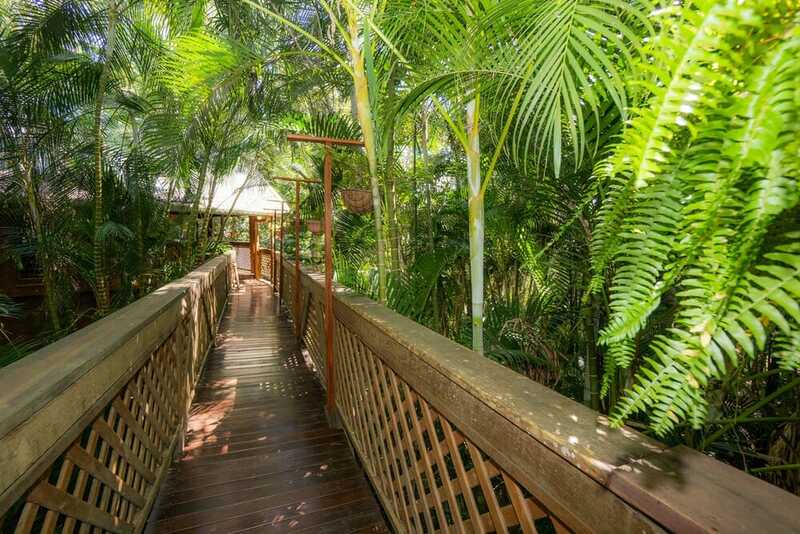 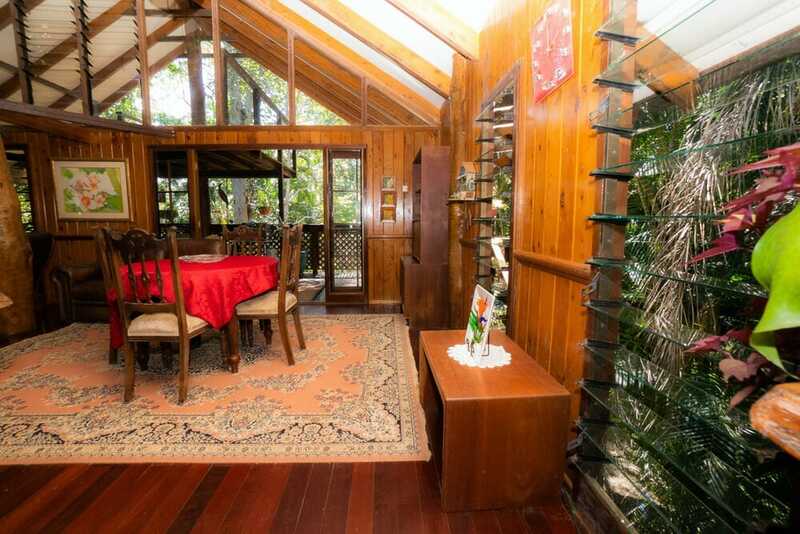 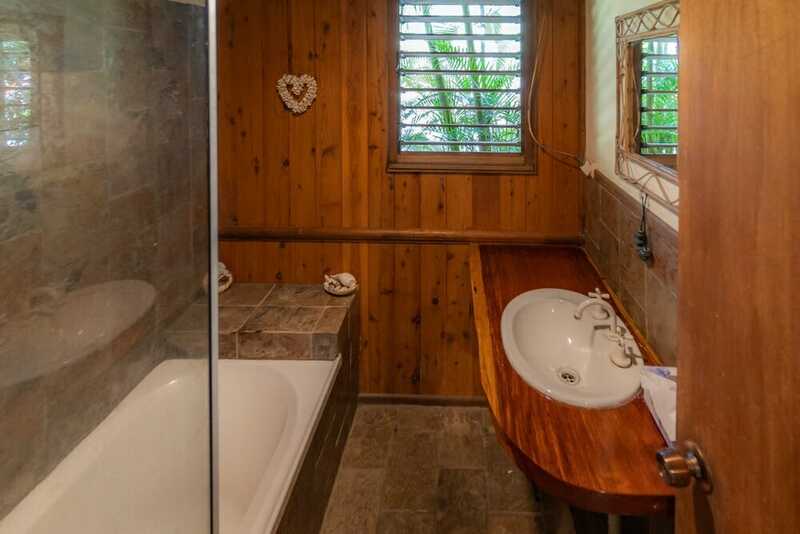 It’s connected to the main house via an elevated rainforest walkway and could be used for the extended family or renting out. 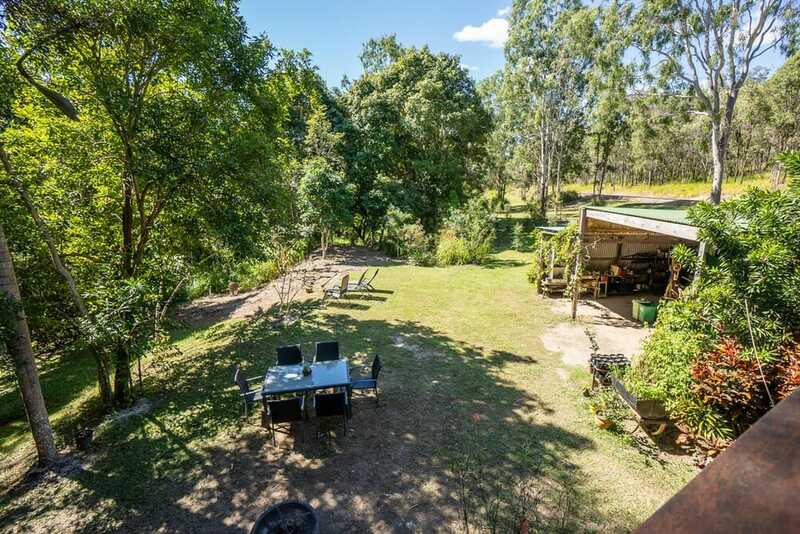 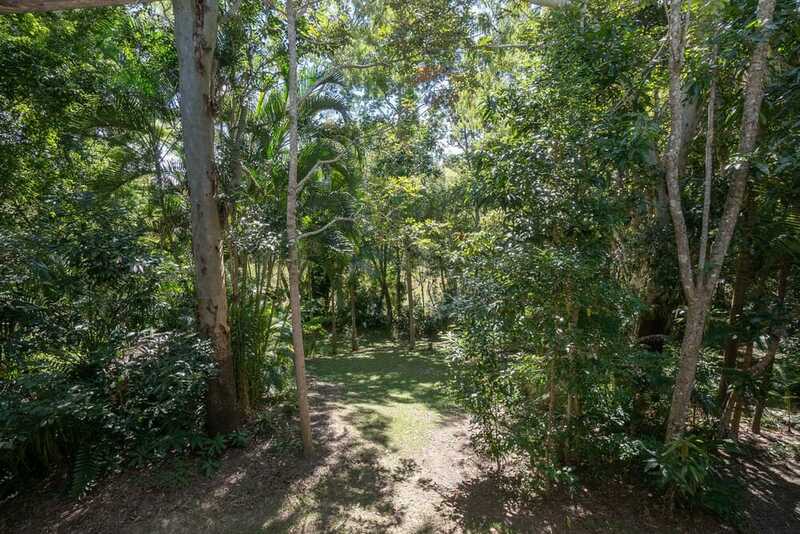 Large shed, easy maintained gardens and orchard with approx 70 finger limes and fruit trees are perfect for those looking to grow their own food. 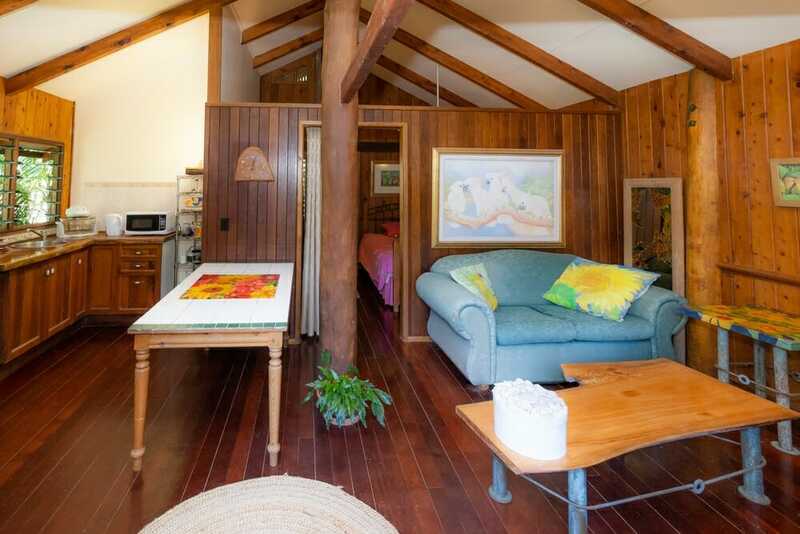 This would be ideal for those extended families, or looking to earn some extra dollars through Air B and B. 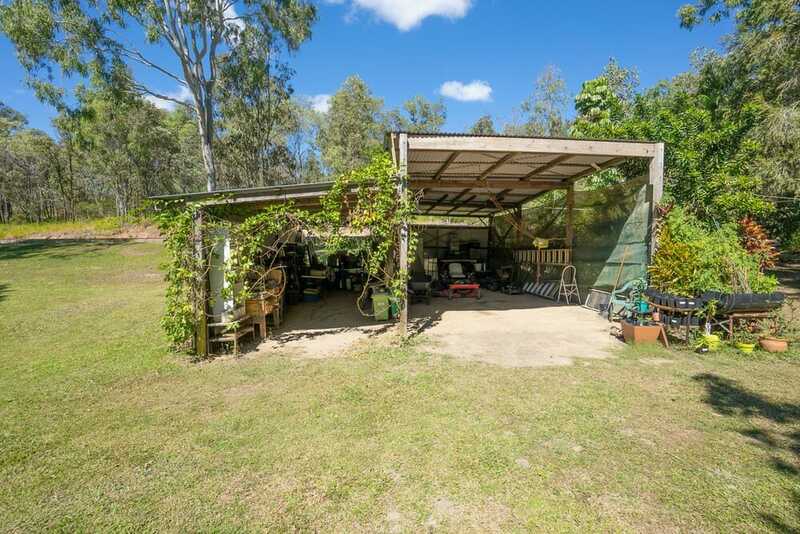 Low Investment - Great Commercial Opportunity!